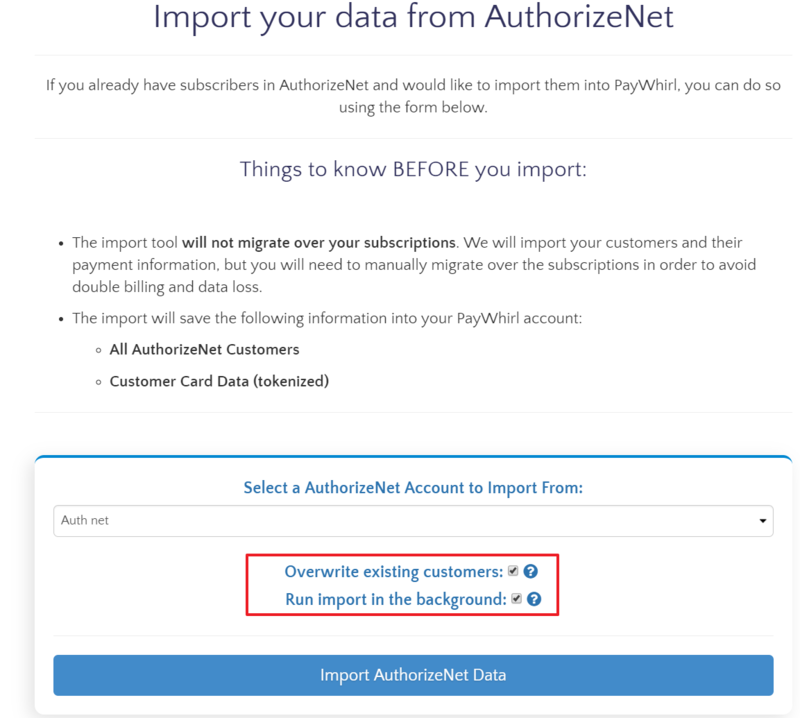 If you need to switch to a new payment gateway, PayWhirl has an import tool to make the process much easier. We don't recommend switching gateways if it can be avoided but sometimes it is a necessity. If you need to change your payment gateway, it is usually possible to keep your existing customers and subscriptions intact. Most gateways will allow you to move your customers to another PCI compliant gateway, but there may be situations where they will not allow you as well. You will need to check with your specific payment gateway to make sure. The first step is to reach out to the NEW gateway that you will be using and see if they have a process for importing your customer's credit card information from your existing payment gateway. Most gateways have an import process but due to PCI compliance legislation this will need to be be scheduled and will take some time. PayWhirl is not involved in this part of the process, it happens directly between your OLD and NEW gateways. Once you have the customers copied into the NEW gateway you will need to connect that gateway to PayWhirl. Go to Payment Gateways and click "Setup Gateway" next to the gateway you'd like to use going forward. After you have the new gateway configured, make sure to switch the gateway settings on ALL OF YOUR WIDGETS AND CUSTOMER PORTAL REGISTRATION. Once you've made this change, all NEW customers will be saved and charged by the NEW gateway. NOTE: Do not attempt to migrate existing customers to the new gateway without confirming that ALL of your customers and their payment information were successfully moved to the new gateway. To continue and migrate over your existing customers, go back to the "Payment Gateway" page and edit the new gateway you've connected to your account. Then click the import link at the top of the page to import all the customers from the NEW gateway. Depending on how many customers you have this could take a bit of time. You will get an email when the process completes. That should do it! Your customers will now be charged by the new gateway and will remain active on their existing payment plans. 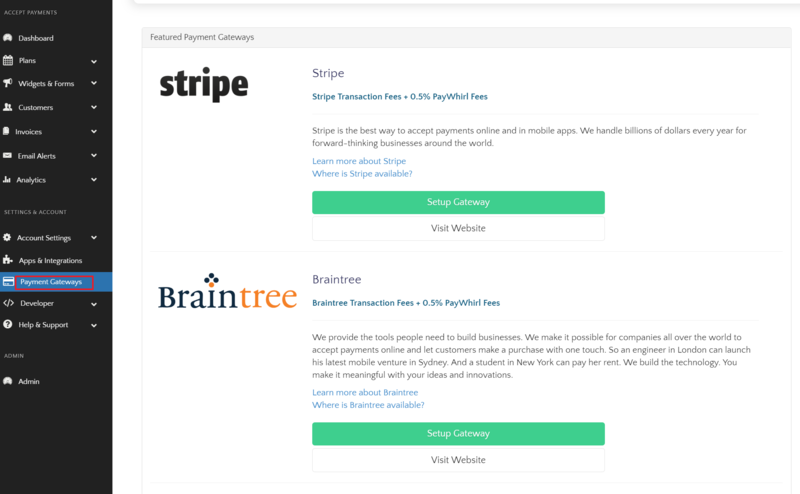 We also have another doc with some great information on migrating customer payment methods to PayWhirl (the first link below in the related articles section). How to import customers and migrate credit card data from other payment platforms. Please let us know if you have questions about migrating between gateways or to PayWhirl from other payment systems.